That was the word from disgraced former U.S. House Speaker Dennis Hastert in federal court this morning. Hastert, of west suburban Plano, faces zero to six months in prison for charges related to a hush-money scheme to conceal alleged misconduct from his past. As part of the deal, Hastert pleaded guilty of illegally withdrawing millions of dollars in such a way that banks wouldn’t have to report it, and he could keep his alleged hush-money scheme private. A second charge of lying to the FBI was dropped. Hastert arrived at federal court at 7:30 a.m. to enter his plea. He was gaunt, hunched over; his face was dour and expressionless. He didn’t speak much until appearing before Judge Thomas Durkin to enter his guilty plea to the charges brought against him by the U.S. Attorney’s office. They again outlined those charges: “Hastert agreed to provide Individual A $3,500,000 in order to compensate for and keep confidential his prior misconduct against Individual A." From 2010 to 2014, Hastert had already withdrawn $1.7 million of that to give to Individual A. For the first two years, the withdrawals were in several increments of $50,000. But from 2012 to 2014 they were in increments of $9,000, which is a federal crime because Hastert purposely withdrew that amount of money to evade bank transaction reporting requirements. Those requirements only occur when more than $10,000 is taken out at a time. Judge Durkin asked Hastert to describe his crime in his own words. Hastert read a prepared statement admitting to the bank withdrawals, and that bank officials informed him in 2012 that if he kept withdrawing the $50,000 amounts, they’d have to start asking him questions about it. 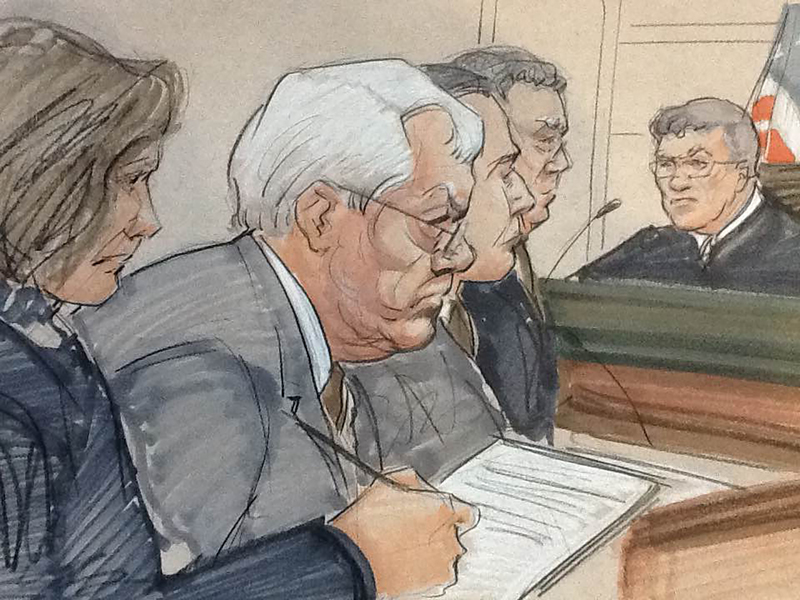 “I didn’t want them to know how I intended to spend the money,” Hastert told the judge. “Did you know what you were doing was wrong?” Durkin asked him. The indictment strongly suggests that it was someone that dates back to Hastert’s days as a wrestling coach and teacher at Yorkville High School – likely a former student. The prosecution and defense agreed in this plea deal to the charge, to the guilty plea and to a sentencing range of zero to six months in prison. That, according to former prosecutor Jeffrey Cramer, means there will likely be a sentencing hearing or further negotiations between the sides, where more information could possibly come to light. Cramer says that means it is still possible, although not entirely likely, that more may come out about the alleged misconduct with Individual A. Though the sentencing range is zero to six months, Judge Durkin says he reserves the right to sentence Hastert to more time if he so chooses. Neither of Hastert’s attorneys, Thomas Green and John Gallo, offered any comment about the case. Sentencing is set for Feb. 29.